This page contains information about the drum sampler products that Aerodrums has been tested with and for which MIDI mappings are available. Each drum sampler defines which MIDI notes correspond to which drums/cymbals. In order to convert MIDI notes coming from Aerodrums to the notes a particular drum sampler expects, a MIDI mapping is required. Below are two tutorial videos, demonstrating how to setup MIDI on a PC and Mac. 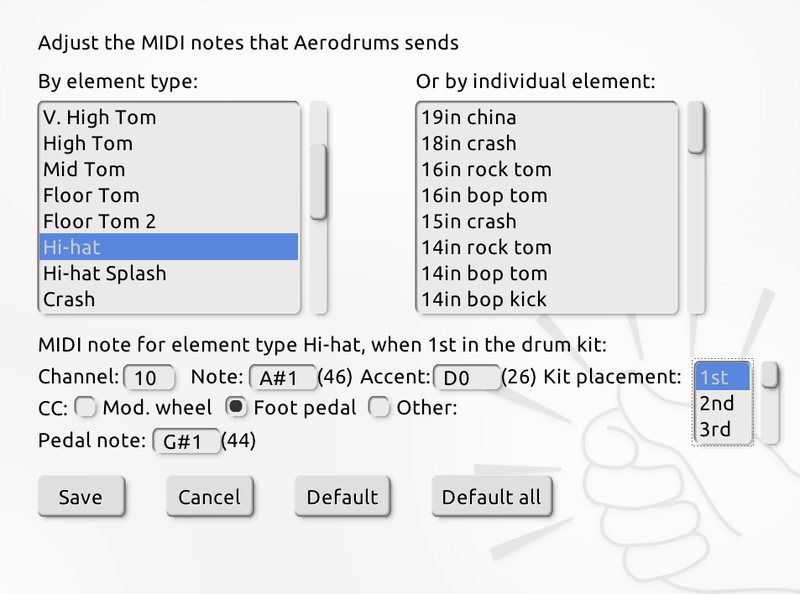 For more information on the adjustments you can make to MIDI kits in Aerodrums, see the MIDI section of the Aerodrums manual. Please also remember whether you are running your drum sampler inside a DAW or standalone, it is important to setup the audio output device and MIDI input device. On Mac, CoreAudio should be used and on Windows, ASIO (possibly with ASIO4ALL) or exclusive-mode WASAPI (if available). The audio buffer size should be set as small as possible to minimize latency. For details on setting this up for Windows and Mac, please refer to the Aerodrums manual. The following sections give instructions for setting up each drum sampler for use with Aerodrums. Click the ‘Reset Conversion’ button. Open the menu, expand the E-Drum entry and select ‘Roland’. Use the Aerodrums key map that comes with BFD3. Open the ‘Options’ screen in the Contact Player Screen. Set the MIDI change to ‘Omni’. Please select the AD2 Standard map from the Map Window. 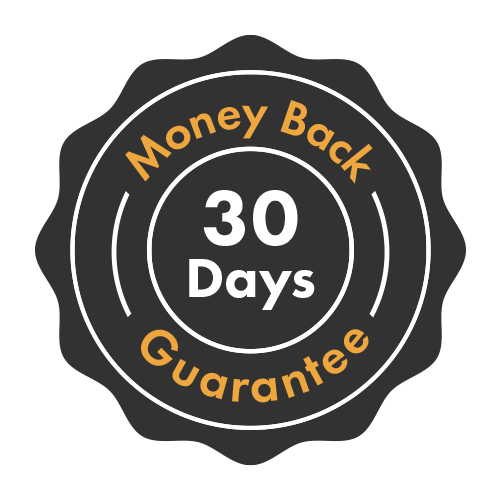 Then tick the CC reverse checkbox. Tick the ‘HiHats: ‘Open or Closed Only’ Checkbox. 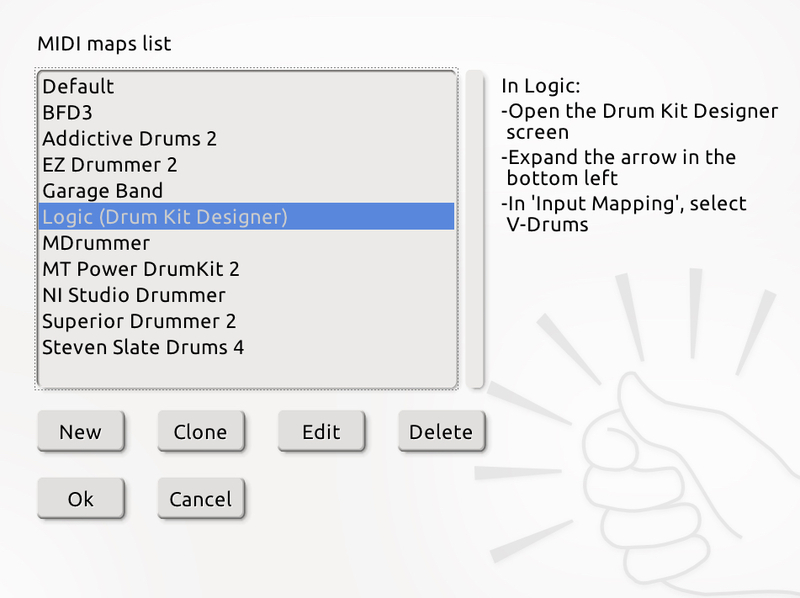 Open the Drum Kit Designer Screen. Expand the arrow in the bottom left. In ‘input mapping’ select V-Drums.